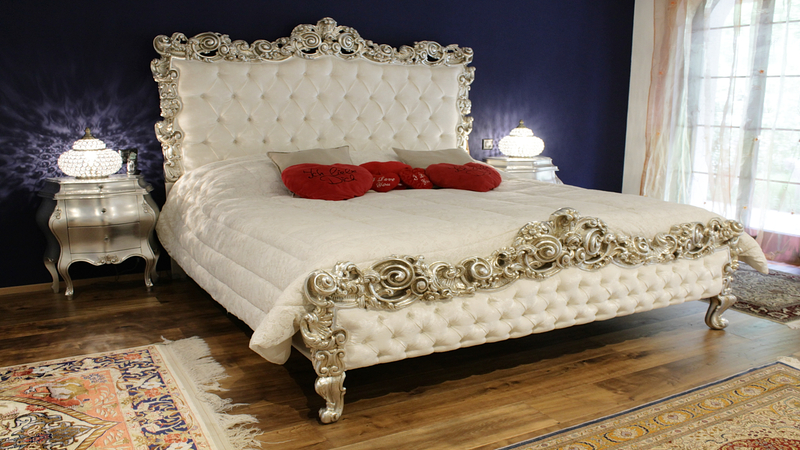 AMBASSADOR by ORSITALIA is a luxury and somptuous King Size wooden bed, upholstered in velvet, tufted, with silvered big carved frame, of Italian Baroque Designs. Orsitalia presents Ambassador double beds, 100% Italian production, in carved wood, leaf silvered or gilt by hand. 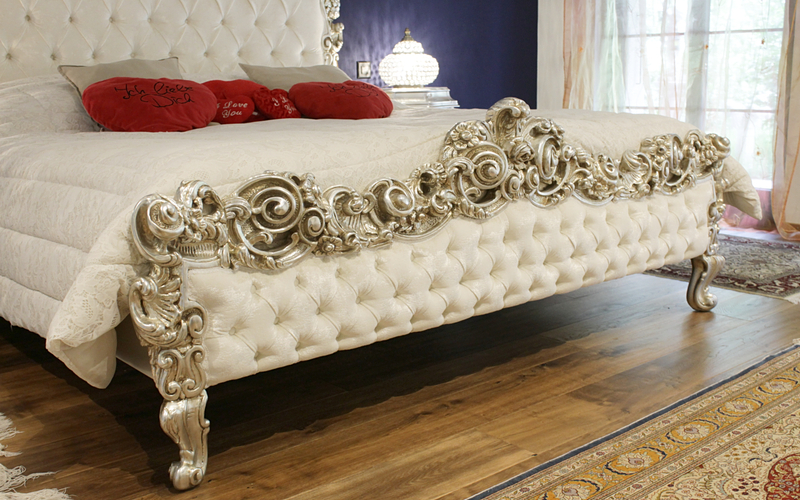 Ambassador sumptuous and luxurious custom-made baroque bed, with tufted big headboard and quilted footboard in beech wood hand carved and completely produced in Italy. 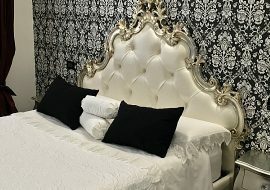 Orsiitalia customize Ambassador luxury baroque beds collection with Italian fine velvets, luxury silk or special natural grain leather. Even the wooden Baroque frame is bespoke . 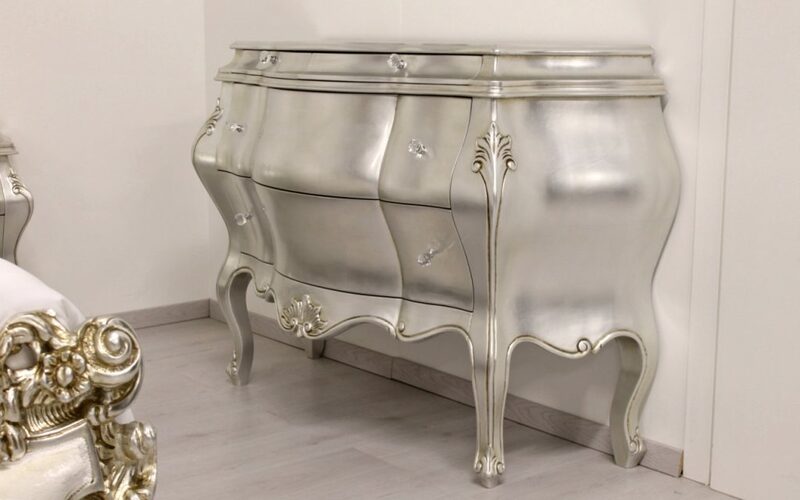 Orsitalia polish the double bed frame with colorfull enamels or special pearl lacquer or with special silver or gold leaves. 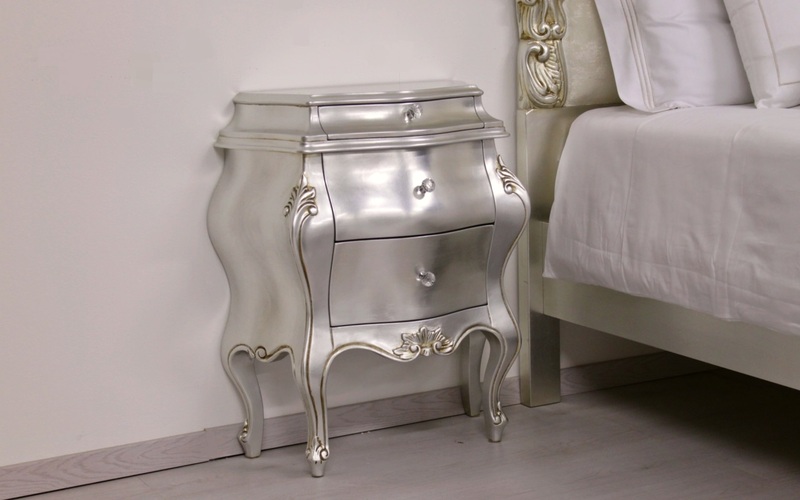 Both the Baroque bedhead and baroque footboad are hand quilted and Orsitalia offers special jewel button or Swarovski crystals. 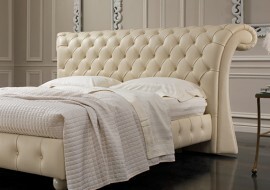 The tailor-made royal double bed Ambasador is strictly handmade in Italy, by Italian craftsmen only. Orsiitalia, strong of their experience from over 50 years, will follow with yr customizations and their Young Designer Matteo Orlandin will help you to make your home beautiful and comfortable.The production of all the handmade Orsitalia’s furnishings is characterized by the highest quality standards, typical of the best Italian craftsmanship, which is characterized by the exclusive use of selected raw materials and a careful attention to every detail, to ensure to our luxury furniture a perfect durability over the time. 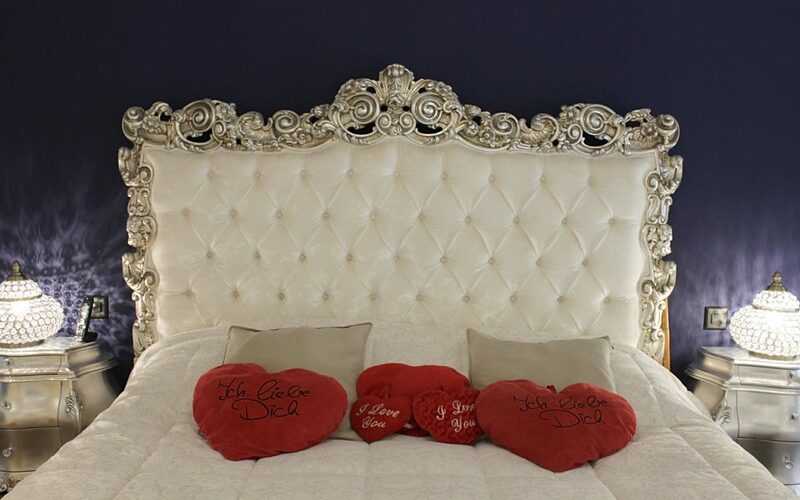 Double Bed with headboard and footboard in strong selected carved wood. Possible to have also the Ambassador bedhead only.